Paul Rieger, MSW began his tenure at Bonnie Brae on August 15th, after the Bonnie Brae Search Committee concluded a six-month nationwide search. Prior to Bonnie Brae, Rieger served most recently as Executive Director of CONCERN Professional Services for Children, Youth, and Families. We sat down with Paul to ask him a few questions about the next 100 years. We understand that Bonnie Brae leadership would like to build a Premier Family Center on the Bonnie Brae Campus. 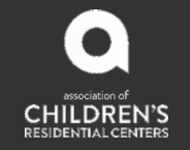 What would this family center offer? This is a really exciting opportunity for Bonnie Brae. The family system is at the heart of what we do, and we want to be able to provide more help for our guys along with their families. Our boys have had tremendous struggles prior to coming to us, and their families have struggled as well. The family center will provide an environment where we will offer a secure, respectful, professional, private, confidential, and comfortable place to connect with families. The boys are not the only ones hurting in these situations, the families are suffering too. We want to help them help each other so that when the young men return to their homes, they have already begun to handle and address these challenges in a positive and proactive way. They start this work and healing process while at Bonnie Brae. The family center will improve the environment and resources for family treatment. The family center will also be a springboard for us to share our expertise with the communities surrounding Liberty Corner, New Jersey. What are you personally most excited about in the next chapter of Bonnie Brae’s history? We have a very special treatment program here, at Bonnie Brae. Our model for working with young men and their families is exceptional. Bonnie Brae is continually committed to meeting this need in New Jersey for families that are in crises. 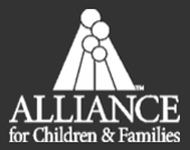 The future is comprised of continuing to provide the highest quality services in our current programs and using our expertise to expand the continuum of care to families across New Jersey. First – we plan to develop and implement a more comprehensive aftercare program for the boys and their families as they leave residential care. Second – we will expand our continuum of care both by diversifying services and expanding the populations we serve. Or new vision is: ‘ Transform more lives of at-risk youth and their families through a nationally recognized model of care.’ What are some of the challenges that you’ve seen? Funding remains a challenge, as is attracting and maintaining quality staff. For this reason, we look towards development and our community to partner with us. We vision growing collaborations with donors, the State of New Jersey, health and human service agencies, other non-profits businesses and corporations. Developing these partnerships helps our boys, their families and the communities across New Jersey. 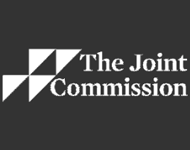 Accredited by the Joint Commission, Bonnie Brae is one of the nation's preeminent residential treatment centers for at-risk adolescent boys who have been neglected, abused, or abandoned. We provide a safe place for boys and young men in crisis, ages 8-21, a place for them to heal, to learn and to grow. We have helped over 10,000 boys and families since our founding in 1916. Please contact us today to learn how you can make a positive difference in a young man’s life.